Whether you're looking to find that perfect Mother's Day gift or outdoor fun the entire family can enjoy this weekend, we have it here with festival, fairs and more! April showers bring May flowers! And, that’s what you can expect to see this weekend with loads of festivals and other outdoor events. On Friday, head over to the Long Island Orchid Festival at Planting Fields Arboretum State Historic Park, enjoy an exhibit on car culture at Heckscher Museum of Art and get in on the activities happening around the 2013 Long Island Marathon. On Saturday, consider doing some volunteer work to help out at parks through the I Love My Park Day program, stop by the New York Pet Expo at Nassau Coliseum and enjoy a fair with crafts and gifts at Joseph A. Edgar School. On Sunday, head out to Heckscher Park for the annual tulip festival or head over to Port Jefferson Harbor for the annual boater’s maritime festival. The Massapequa Community Street Fair also takes place over the weekend. Check out the details below! Info: Today kicks off the three-day festival! It’s the first annual Long Island Orchid Festival held by the Long Island Orchid Society at Planting Fields Arboretum State Historic Park. There’ll be orchid vendors from around the world and lectures to enjoy from advanced orchid growers. Info: On exhibit through August 11, the exhibit Car Culture: Art and the Automobile goes on to explore the transformation of the automobile. Other artwork is also on display using car parts such as scrap metal and tires. Info: Today kicks off the Long Island Marathon weekend. The Health and Fitness Expo at the Mitchel Athletic Complex opens. The Cradle of Aviation Museum is also open for the “Carbohydration” Pasta Dinner. Reserve your pasta tickets. Info: Celebrate the magnificent state parks and historic sites by taking part in I Love My Park Day. The Governor invites you to join the state wide volunteer relief to clean up our state’s parks and historic sites. You’ll have the opportunity to clean, plant, build, repair and/or paint. Your efforts will help maintain the beauty of the parks. Volunteers need to complete a simple online form to register for a specific park. Time & Place: Hours Vary By Park. A list of participating Long Island parks is available here. Info: If you have a pet or you’re looking to adopt one, this is the event to attend! Enjoy fabulous prize giveaways, a mega-adoption event, discounted vaccinations, microchipping and heartworm and flea prevention. Free nail trimming is also available as well as agility demonstrations and much more! This is also the place you can learn about pet care, volunteering, grooming, pet behavior and training and more. Info: Stop by this fair featuring gifts, food, music and fashion accessories, including handcrafted designs. There’ll be over 90 exhibitors at this rain or shine event. Info: Come out with the entire family to enjoy a day of fun with children’s activity booths, a stage performance of “Wonders of Spring,” African drumming, dancing, acrobatics, stilt-walking and much more. 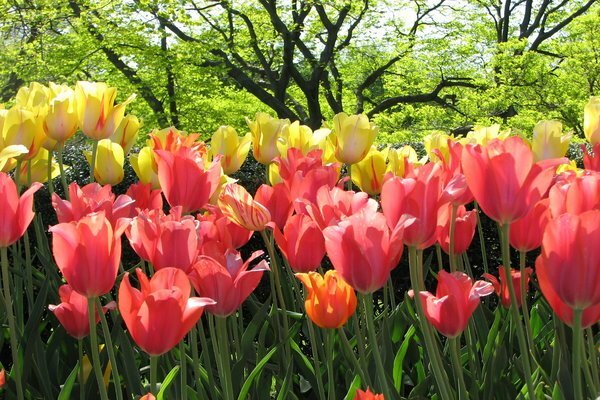 The park will also be abundant with planted tulips and tulips for sale. A shuttle bus is also available for a visit to the Sheep to Shawl Festival. Info: There’ll be over 50 boats on display at this show. Events will also be held throughout the village including free open demos for kayaks, paddle boats and inflatables, harbor cruises, sailing demos, boat building, fishing, clam shucking, eating contest and much more! Info: This annual community street fair is led by the Massapequa Chamber of Commerce. There’ll be entertainment, amusements, special attractions, food and merchants. Subject: LongIsland.com - Your Name sent you Article details of "Hot Spots: Weekend Watch for May 3 through May 5"